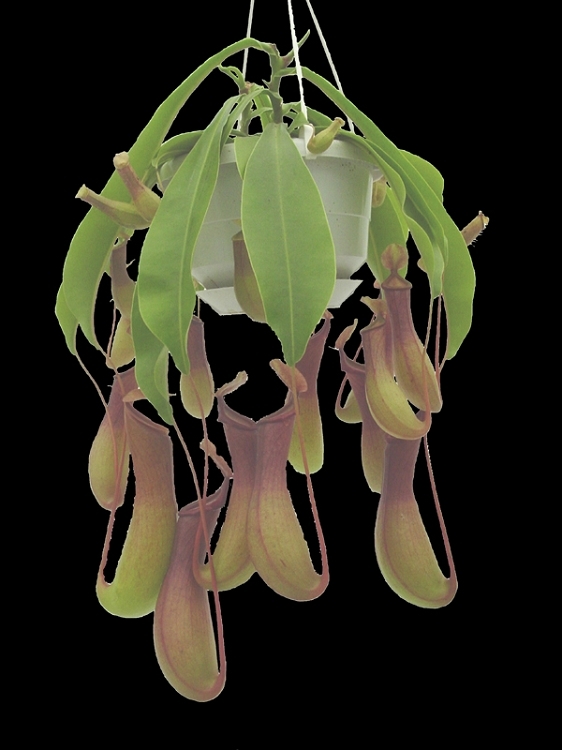 Nepenthes 'ventrata' is one of the easiest Nepenthes to grow, and will grow into a nice full plant with minimal care. For those who live in warmer climates (keep the plant indoors if the temps drop below about 50F), these can also be grown outdoors in a shady spot on the porch, hanging under a large tree, or even on the patio! These plants are produced from rooted cuttings of our own plants. Shipped potted in a 3-inch pot, so all you need to do is water and enjoy. Plants are ready for immediate shipment!